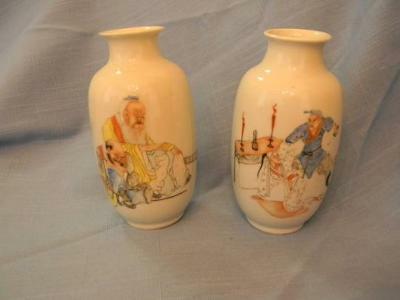 The porcelain vases could have been made in about the first three decades of the 20th centuries, judging from these small pictures. 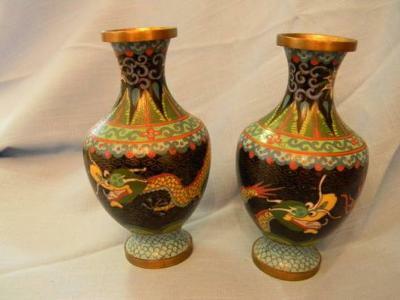 Cannot help with the enameled vases. 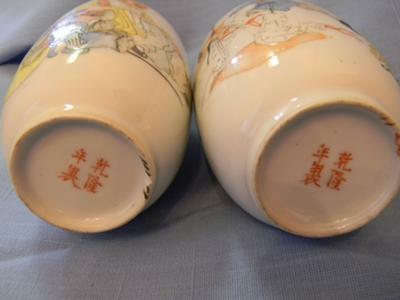 I would try asianart.com with these. Please see "Value of Antiques" in the left menu. These are fairly common items, so value may be limited.